A highly prolific and dynamic period for design, the 1940’s to 1960’s produced a plethora of beautiful and striking pieces which were pivotal in the development of mid century design. Here are some light designs we find particularly inspiring. 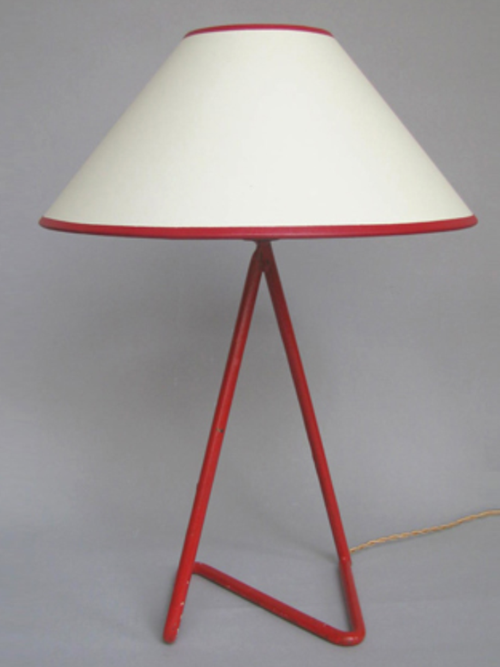 This ‘Zig Zag’ lamp (c. 1948) by Jean Royere, one of a pair is a remarkable example of early post war design. The lacquered metal base with its strong geometric shape softened by the curved angles is decisive in form while the bold use of red strikes a resonant note. Innovative and striking, the distinct design is still profoundly relevant today. We can source work by this designer for you. Contact us with inquiries.